Asthma is a serious lung disorder! Over 300 million people suffer from this condition worldwide. As a matter of fact, 1 out of 10 children and 1 out of 20 adults are suffering from severe asthma. In fact, it can start at any age, but mostly it starts in childhood. Asthma patients suffer from wheezing, breathlessness, chest tightness, and coughing at night or early in the morning. 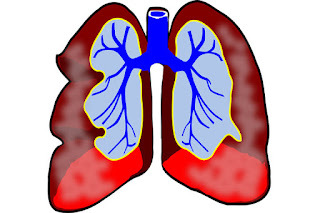 In this chronic breathing disorder, our airways get inflamed resulting in respiration problem. So, the first and foremost goal of asthma patients should be to remove the mucus as this will provide them with an immediate relief. We can prevent asthma attacks effectively by sensing the warning signs before the attack, staying away from causing agents and by following the doctor's advice. The sole reason for the asthma attack is when we are exposed to its trigger. These triggers might be anything -smoke, dust mites, air pollution, pollen, pets, and mold. During the asthma attack, the airways of the lungs become smaller due to inflammation and mucus. 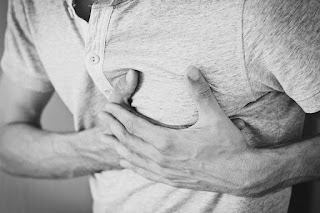 This causes tightness in the chest and difficulty in breathing. The wheezing sound that you hear while coughing is due to the movement of air through clogged airways of the lungs. Mucus is not always bad for lungs as it protects bacteria, dust, and other foreign particles before they enter into the lungs. However, in asthma excess mucus is produced by the body as a defense mechanism. This causes a great trouble in breathing. Air pollution and asthma are also interconnected. The exposure to harmful particles in the air can aggravate your asthma. To escape this scenario, you can opt anti-pollution masks. These masks filter out the particles that trigger the attack. Is there any permanent cure for asthma? First, we need to understand that asthma is not actually a disease in itself. It is, rather, a condition that causes several respiratory issues. So, like common cold and cough and allergies, it never entirely goes away. It can be controlled through exercises and medications. Sometimes, people are able to control it so effectively that it amounts to a virtual cure. In most cases, its medication is focused on controlling inflammation of the airways and reversing symptoms before they get out of control. A recent study says vitamin D supplements benefits in asthma including providing a protection against attacks. When you feel that you are going to have an asthma attack try to sit upright and take a break from all your activities instantly. Start to slowly breathe in through your nose and breathe out through your mouth. Always be calm and don't get panicked as this will deteriorate your tightening of the chest. Identity your allergen and try to stay away from it. It can be dust, smoke or pollen grains. 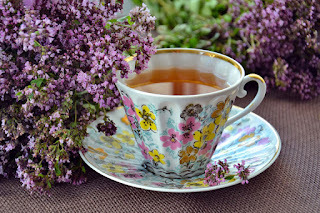 Hot beverages like ginger tea or coffee can bring some relief by opening your airways. Never make a delay in seeking medical help if wheezing and chest tightness persist. Scientists and Researchers suspect that food and asthma might be inter-linked. It is believed that the high consumption of refined grains, processed and red meats, and desserts can escalate the asthma condition. According to 5000-year-old Indian system of medicine called Ayurveda, Milk and milk products cannot go along with asthma. Almost 60 % of asthma in people is caused only due to milk and milk products. If asthma patients stop consuming milk and products made from milk, their sufferings can be reduced to one half. It says that you should consume the banana, jackfruit, boiled beetroot to prevent asthma from getting worse. A research paper at PLOS One – the reputed community portal of Medical Researchers, says that Among legumes, kidney bean followed by chickpea and peanut are the major allergic triggers in asthma and rhinitis patients in India. What you eat in asthma is equally important as what not to eat. These foods act as the common medications of asthma easing the tightness of the chest during the asthma attack. Also, they reduce the throat phlegm and mucus production. These foods, additionally, provide strength to our immune system. Honey comes with an anti-inflammatory property. Many forms of medicines already use formulations of honey for cold and flu treatments. And Yes! Honey can treat asthma too. This is because honey reduces swelling of airways. Consequently, causing a relief in coughing which is a typical symptom of an allergic asthma attack. The health department of the University of California suggests 2 teaspoons of honey at bedtime. Honey has also been suspected to make an individual less reactive to pollen - a common allergen in Asthma attack. When glucose and fructose present in honey breaks anaerobically inside the body, it releases heat. This heat makes the thick mucus in the respiratory tube to melt slowly. If you are feeling a tightness in the chest and feel that an asthma attack is going to happen. In this situation, you should take honey with hot water. This will delay your asthma attack for at least an hour allowing you enough time to get your regular medicines and come out of this situation. Basil herb has always been known for its numerous health benefits in Asian herbal system of medicines. It is known to promote better respiratory function and body resistance to diseases. A study on animals reveals that 500 mg of holy basil extracts taken 3 times a day clears airways resulting in a better breathing function and fewer attacks. Mix 3/4 basil leaves in honey mixed with black pepper. Soak it for about 3 to 4 hours. Now, take out and chew these leaves. This will reduce your chances of an asthma attack. Neem oil helps asthma patients by controlling phlegm. In alternative natural remedy of asthma, neem seed oil is said to even cure asthma permanently. If the better taste of Neem troubles you then you can go for neem tablets to gain similar advantages. It produces a lot of heat in the body which is beneficial against asthma attack. Natural medicine practitioners suggest eating Neem leaves wrapped in honey in the morning for best results. 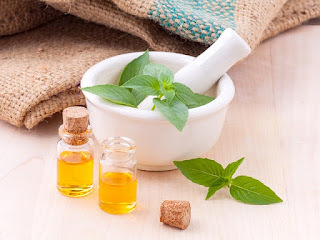 Eucalyptus oil has also been proved to be beneficial in asthma disorder. It clears mucus from the airways, lungs, bronchi, and trachea. This oil also prevents the worsening of your asthma if it has become chronic. It has bronchodilation and anti-inflammatory effects on your lungs. That means, it opens constricted airways and delivers a relief in the attack. Broccoli sprouts contain a natural compound which has been found to protect us from asthma and similar respiratory inflammation. In asthma, the tissues of our lung's airways get damaged. As a matter of fact, Broccoli increases production of anti-oxidant enzymes to 3 times more than normal. This delivers protection of air passages. Ginger has always been known as a herbal medicine against common cold and flu. It has been effective against asthma too! It relaxes and widens lung muscles cells that carry air into and out of the lungs. In fact, it is due to this bronco-dilating effects, Recent studies advocate combing the ginger compound with asthma's regular medication. The bottom line is that ginger containing food and beverages can benefit in asthma induced respiratory suffocation. So, don't forget to grate some ginger over your recipes if you are an asthma patient. You can even sip ginger tea to get the same advantage. The bark of Arjuna tree has been used for heart ailments treatment in Ayurveda since 3000 years. It is beneficial in asthma as well with its proven benefits in improving respiratory breathing. By removing mucus from the lungs, it provides an instant relief in coughing. According to Ayurveda – the ancient Indian system of medicine, Asthma attacks can be effectively avoided by taking honey and black pepper with hot water. It even claims this herbal formulation as a permanent cure to allergic asthma. In order to prevent an asthma attack, Ayurveda advocates a balance in your lifestyle. According to this ancient form of herbal medicine practice, a person suffering from asthma should avoid overeating and have milk at bedtime. Even fasting for a longer period is not recommended. It cautions people with this disorder to stay away from frosty, smoky and congested places. It suggests people with asthma to adopt deep breathing exercise. After a dinner, a gap of three hours must be given before going to bed. Yoga keeps your respiratory muscles strong, flexible and healthy. Certain poses of yoga stimulate lungs and can increase the ability of breathing. Asanas like Pranayama and Surya Namaskar can be a natural therapeutic treatment for asthma. In yoga's principle, Surya Namaskar or the salvation balances your body's heat distribution. It cures the nose blockage issue which is a common problem in asthma and sinusitis. This asana is vital heat releasing exercise for our body. People who daily practice Surya Namaskar Asana do not get affected by cold and flu too often. Asthma has many types - allergic, bronchial and psychosomatic. An influence of stress and strong emotions can also trigger asthma. And, Yoga which is a mind-body control practice helps you to reduce stress and regulate breathing. If you are suffering from allergic asthma, pranayama can effectively make less vulnerable to it. It reduces most of your bronchial problems if practiced daily for one to two weeks. Author Bio - Himanshu Jha is the founder and editor of lifebing.com. He loves to blog about health, wellness and fitness issues.